A while ago I reviewed Good Hemp's delicious plain and flavoured seeds which quickly became a staple in our house! We use the Italian seeds as a delicious alternative to parmesan cheese over raw and cooked pasta dishes, I actually think it tastes better with the seeds than the cheese ever tasted too. So today I'm super excited to review two more of their products for you! 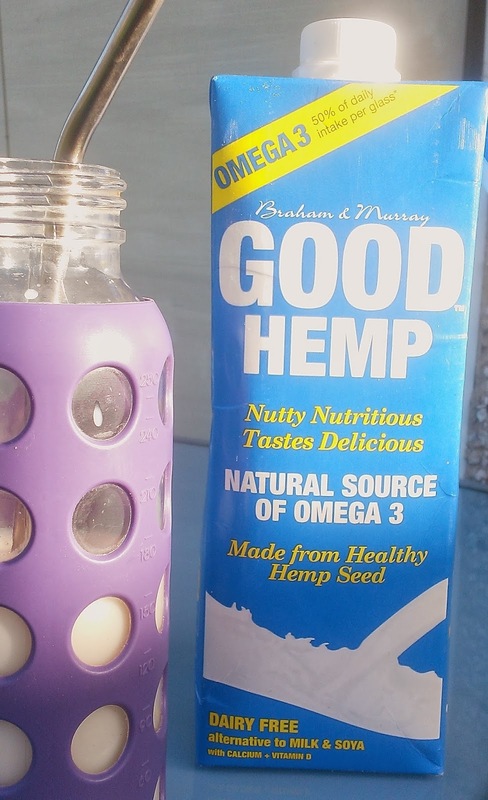 The good hemp oil is a delicious oil made from hemp seeds that contains omega 3's (super important for growing children). 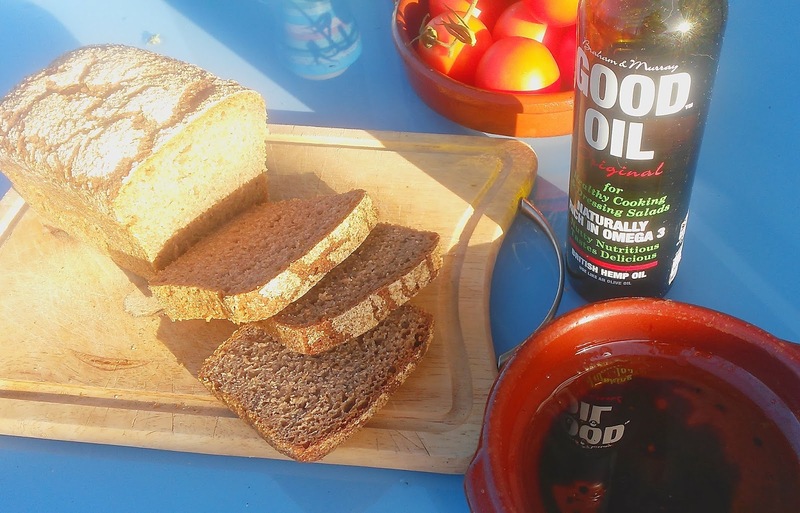 The description on their website says that the oil is free from pesticides, never bleached or deodorised and is produced by cold pressing which is great news for us. So how does it taste? It has a slightly nutty taste but is very mild and blends easily with balsamic or apple cider vinegar to make a tasty salad dressing. It is also mild enough to be blended into smoothies (popular with the children), porridge and as a drizzle over soups. We blended some with extra virgin olive oil as a dip for our sourdough rye bread and it was amazing. I think this is a wonderful product and we'll definately be buying this oil again. The milk got mixed reactions! When Good Hemp first released their milk onto the market we all loved it. It was hands down our favourite pre-made non dairy milk. Then they changed the recipe and none of us liked it at all, it was such a contrast! We actually stopped buying it. However, the milk recipe was altered again to produce this version and I am happy to say that we all liked it, though it was not my eldests favourite milk. It does have a very slight after taste that is noticeable in a cup of tea or chicory but as a base in smoothies or hot chocolate it was really creamy and tasty due to the slight vanilla flavour that it has. I can imagine it would be great with porridge too. I am really glad I got to try this milk again as it's now firmly back on the buy list!